Use to provide clearance to combustibles. Adjusts from a minimum of 4” to a maximum of 10” wall thickness, and fits between standard wall studs. To accommodate thicker walls, the telescoping pieces can be extended up to 16” with a field- fabricated extension installed. Interior trim ring painted black. 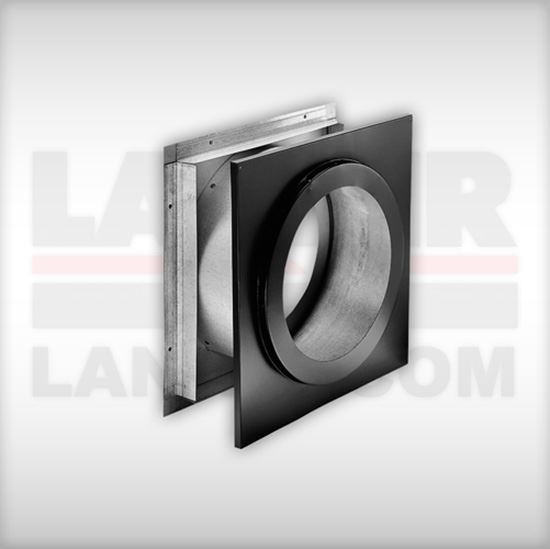 Must be installed with DuraTech chimney pipe horizontally through the wall and extend 6” into the room beyond the interior wall.